Performing a comprehensive physical exam. Differentiating between accidental and non-accidental injury. Documenting your assessment accurately and comprehensively. Ordering the appropriate screening tests based on clinical presentation. Apply your role as a mandated reporter to identify and report cases of suspected child maltreatment to the appropriate agencies. Effectively communicate with investigative agencies in child maltreatment cases. Megan McGraw Letson, MD is the Program Director for the Child Abuse Pediatrics Fellowship at Nationwide Children's Hospital, attending physician for the Center for Family Safety and Healing at Nationwide Children's Hospital, and Assistant Professor of Clinical Pediatrics at The Ohio State University College of Medicine. Dr. McGraw Letson graduated from the University of Cincinnati College Of Medicine and completed both her General Pediatrics Residency and Child Abuse Pediatrics Fellowship at Cincinnati Children's Hospital Medical Center. 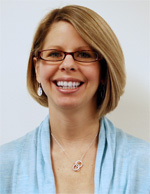 She is board certified in Child Abuse Pediatrics and General Pediatrics. Dr. McGraw Letson's clinical interests include child sexual abuse, child physical abuse, and the long term follow up of victims of abusive head trauma. Her professional interests include medical student, resident, and fellow education, as well as medical education research. She is a member of the Ray E. Helfer Society, the American Academy of Pediatrics (AAP), AAP Section on Child Abuse and Neglect, the Academy on Violence and Abuse, American Professional Society on the Abuse of Children, and the Ambulatory Pediatrics Association. Disclosure: Dr. McGraw Letson states that she does not have any financial arrangements that could constitute a conflict of interest. Very well done. Good refresher.